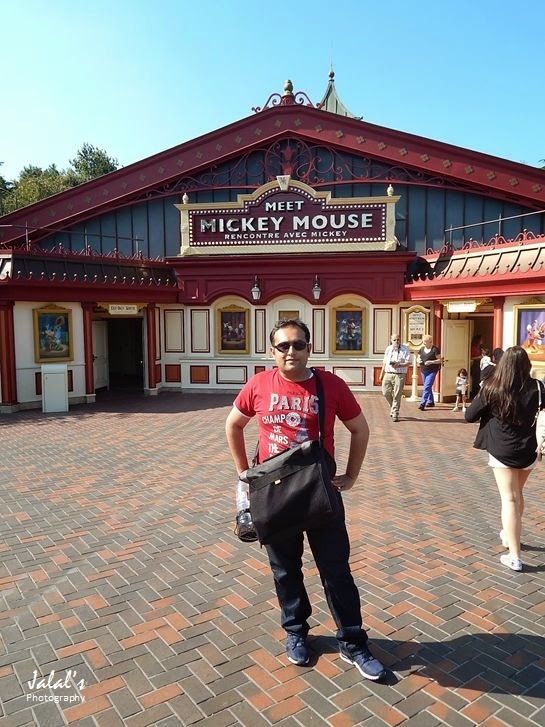 This is my third post on Paris Disneyland and is about one of the famous Walt Disney character Mickey Mouse. The famous animator and entertainer Walt Disney conceived Mickey Mouse in 1928 and Mickey has since then become a children's adorable cartoon character. 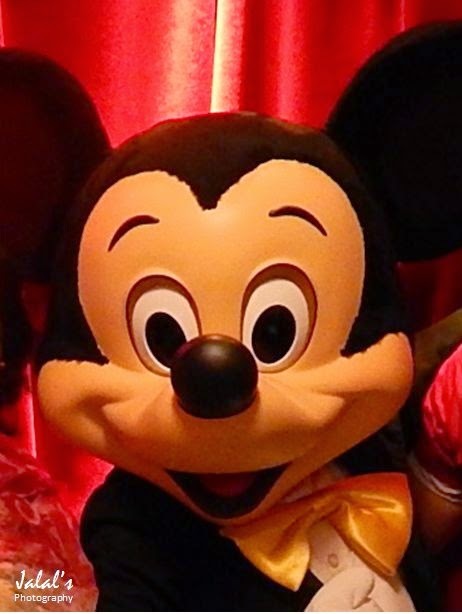 Mickey has the honour of being voiced by Walt Disney from Walt Disney 1928–47 and then from 1955–59. 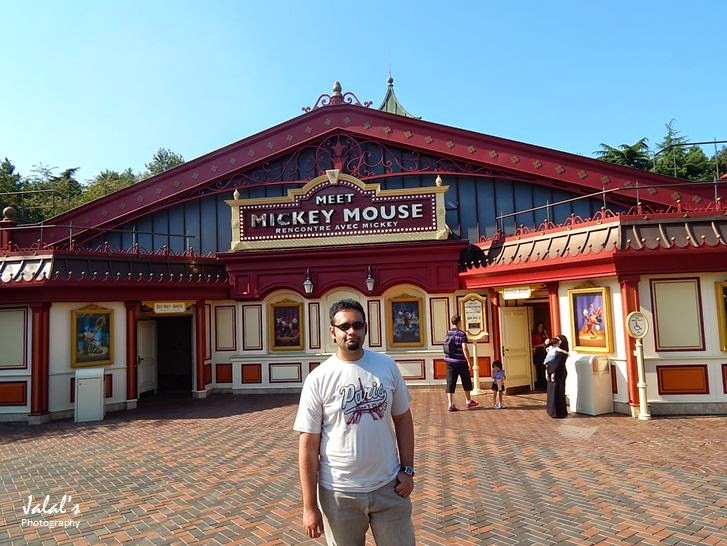 Walt Disney originally called Mickey “Mortimer Mouse,” however, his wife persuaded him to change it to Mickey Mouse. 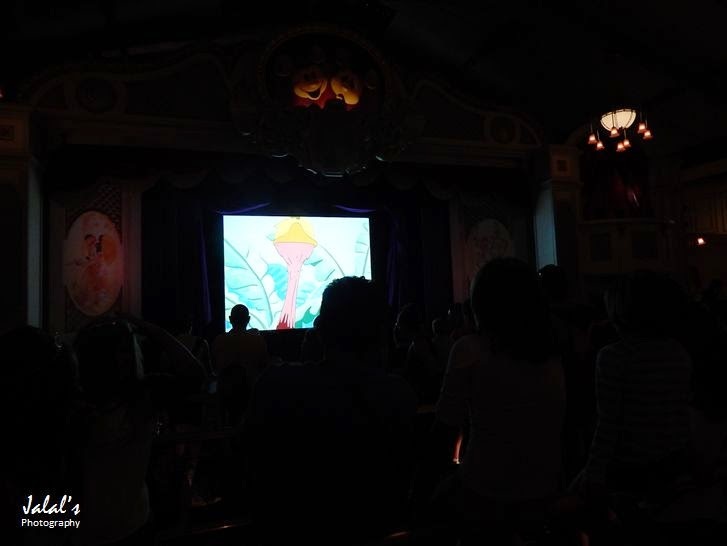 Dressed in red shorts, large yellow shoes, and white gloves, the Mickey Mouse cartoons are still loved and watched by people of all ages - including me since my childhood. The Paris Disneyland Mickey House, called Michel Souris, was officially inaugurated in 2012 and has since then continued to attract almost everyone visiting the entertainment park and have a handshake photo session with this legendary and most sought out cartoon character. Meeting Mickey is not that easy as a long queue of Mickey enthusiasts and fans line to meet their hero. 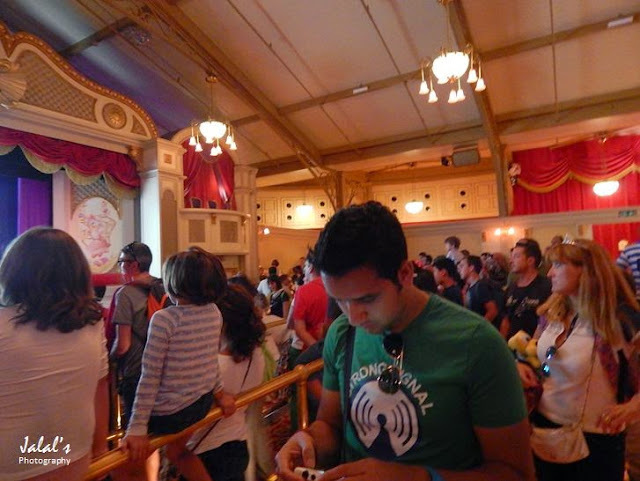 We too got into the line in a big hall with lot of people already waiting inside and inching forward. 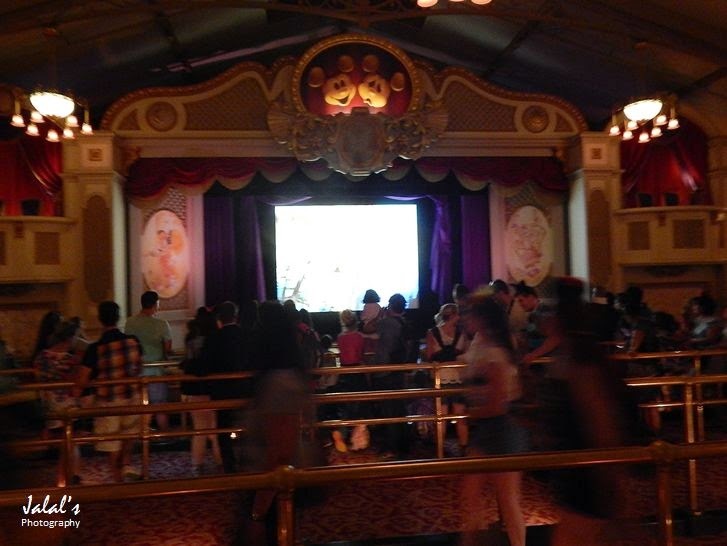 In order to break the boredom of waiting for almost hours, a continuous cartoon show of Mickey is screened to while away the time. 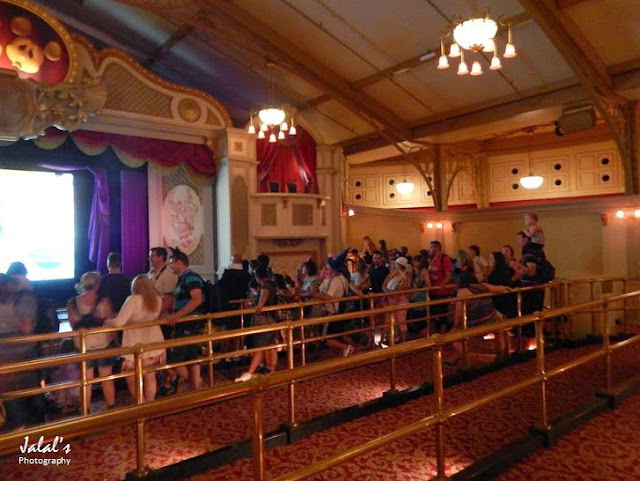 The line moved on till we had almost reached the end to Mickey's special room where he waited.